Let's me add my part to the Junkie's challenge for the top 9 cards in your collection. I will say, the first 4 or 5 were fairly simple. Then, it became work to think about what I own and what really means something to me. It's nothing against the other cards in my collection, but the nine I selected each have a special reason for selection, whether personal, cultural or historical. Here's the nine cards I really like. Junkie stated his best page was not set in stone, and I can say the same about mine. A few could never get the bump, but others would hope that I bring two pages to the island based on future acquisitions. Let's go through the page a card at a time. Each image I post below is clipped from the image above, so you may see a shine or a section out of focus. After I scanned this page, I put the cards back in their location - I didn't feel like digging them out again. 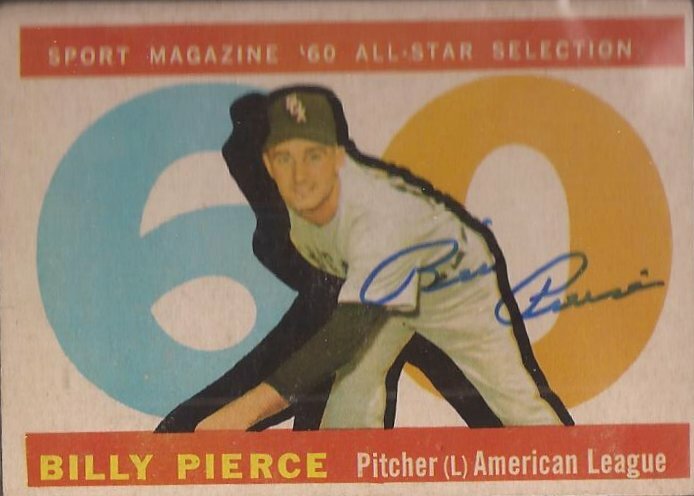 Upper left: 1960 Topps Billy Pierce All Star TTM autograph. When I finished my Pierce Project, I realized one thing. While I had some autographs of Mr. Pierce, I didn't acquire them. And Billy was an amazing TTM signer. Lemont is just 20 miles from my house, But I never sent him a letter. Billy was nice enough to sign this and write a small note on the bottom of the letter I enclosed. Top center: 1959 Topps Whammy Douglas. While I never really left collecting, I was all over the place and just picking up packs here and there at the big box stores. When I found the blogs and finally walked into my local LCS, I gradually changed my collecting habits. Upon my fist return to a card show in almost 20 years, I pulled this card from a 75 cent vintage box. You just don't pass up a card with someone named "Whammy". 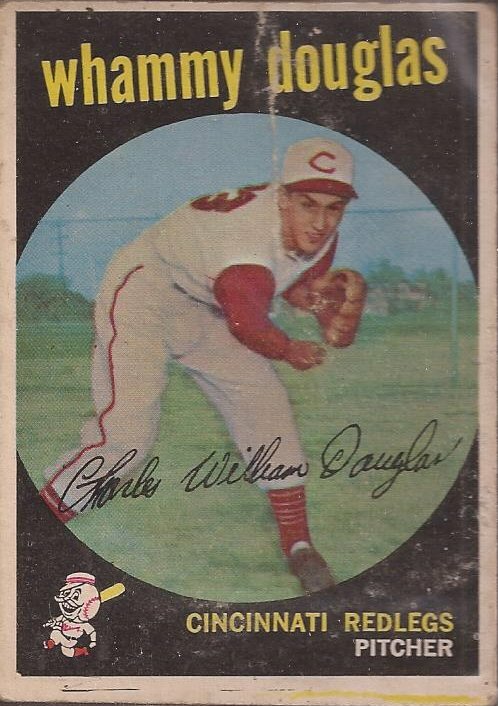 I read Mr. Douglas was pretty good with TTM returns, but by the time I learned this, he stopped signing because of failing health. Would have loved to get his autograph on this gem. 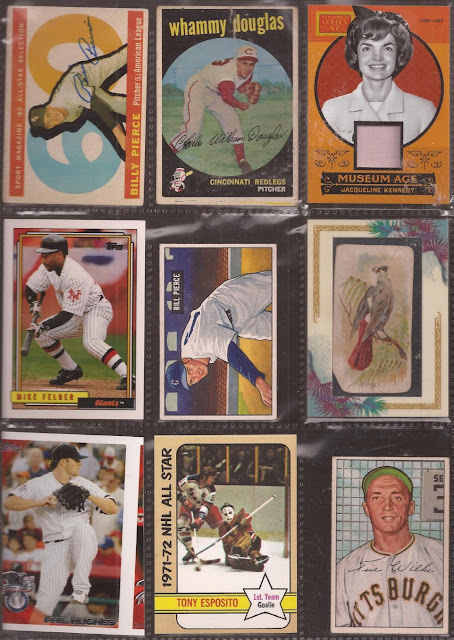 Upper right: 2014 Panini Golden Age Jacqueline Kennedy relic. I love Golden Age. I wish Panini would still produce it, because you don't need to release a new football set every other week. While not much of a swatch, I love that I own something that was probably in the White House. I also own relics of Claudette Colbert and Jayne Mansfield (hubba), but this one edges those two out. Middle left: 1992 Topps Mike Felder. 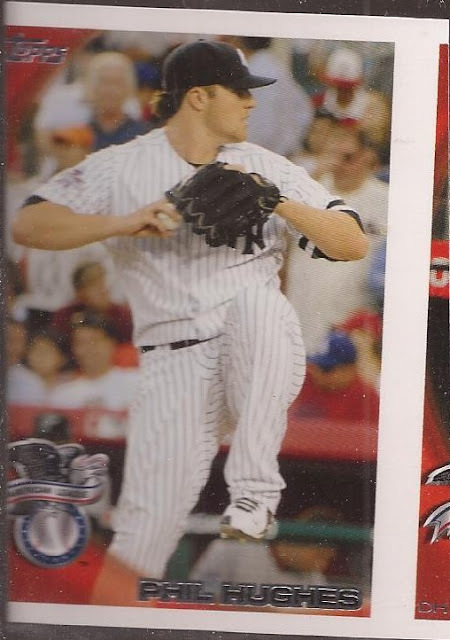 This card has everything - a nice bunt and a gorgeous throwback with perfectly worn pants. There are other versions of these uniforms, and even other cards with this image, but the Topps card is the best. 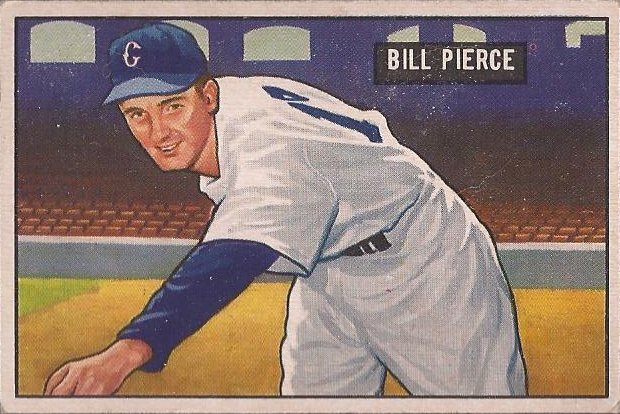 Center card: 1951 Bowman Bill Pierce. Not only is this card in immaculate shape, and a straight up beautiful image, but this is the card that informed me I had found the right group of people here in our blogging community. This card was gifted to my from the great Collective Troll. Dude, I know you're still out there, so get back to your blog. 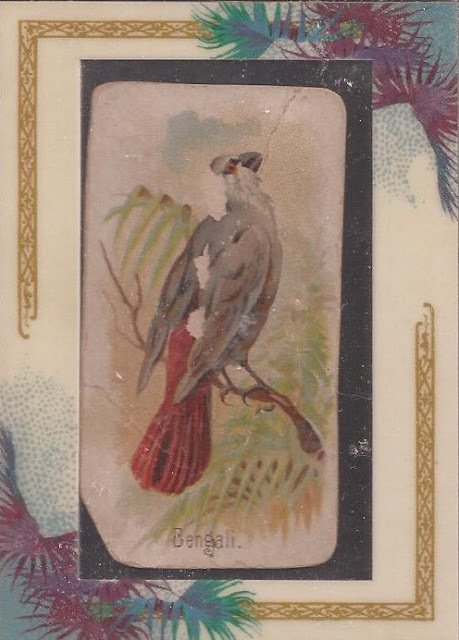 Middle right: 1890 N23 Allen & Ginter Bengali. As you can tell, I placed this into one of the A&G mini relic frames. I think it looks really nice. I had found a lot of tobacco minis on Ebay and secured it for about 50 cents a card after shipping, maybe less. This turned out the be the oldest card in the bunch. The back is missing, and you can see the wear on the face. 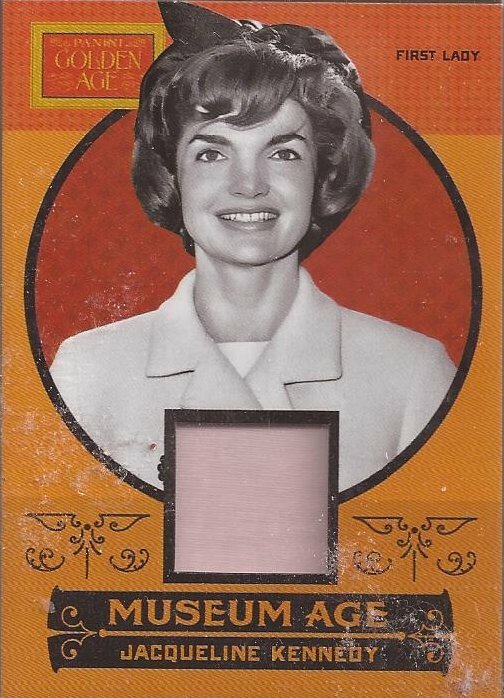 But it's still the oldest card in my collection, I am sure if the seller had an image of this card on the main auction listing, I would not have been the high bidder. Bottom left: 2010 Topps Phil Hughes miscut. A bunch of miscuts could make the page, but this is the center of a three card panel I pulled from a pack. Most people would be pissed. Not me. Miscentered and not square corners - a miscut only a weirdo can love. Bottom center: 1972-73 Topps Tony Esposito All Star. Before Ebay became the impossible bargain search it is now (2012 Luke Scott for $1.29 with $2.50 shipping??? ), you could pick up some nice cards really cheap. I think I got this in a 3 or 4 card lot for a buck with shipping. 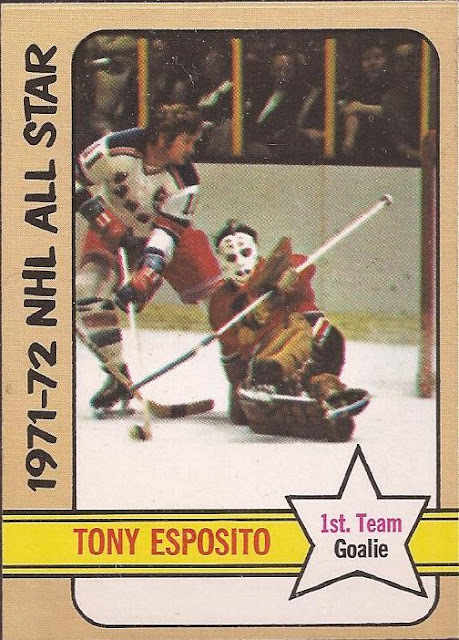 When I think of hockey cards, it's this set that comes to mind first. The beige borders, the yellow name bar, the pre-Comic Sans font - I wish I never got rid of these cards when I was a kid. I may have to build this set one day. Bottom right: 1952 Bowman Ted Wilks. I just learned of this card maybe 2 years ago. 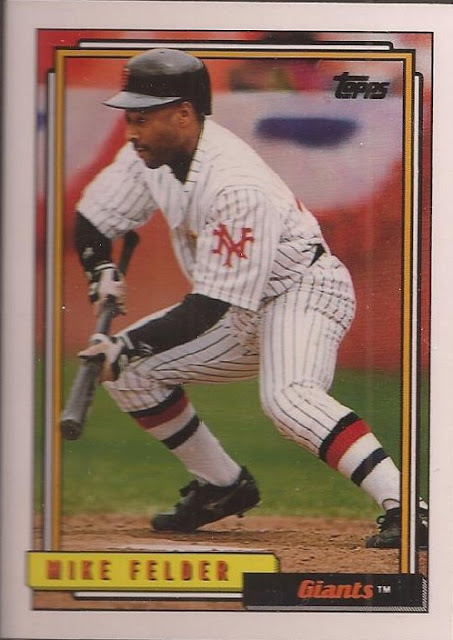 In fact, the day I learned of this card is the day I learned about Ted Wilks. I happened across it when I was searching for cards on Ebay. Besides the fact of the last name (which made him a player project I recently completed), the background looks less of a fence with a sign on it, as bathroom tile. I found it odd that a toilet would be the place to pose for this painting. Hey - it was early in the morning when I saw this card, cut me some slack. There you have it. To me, the best nine I have. Nice selection, I love that miscut it's a really good one. That is a diverse group of cards. 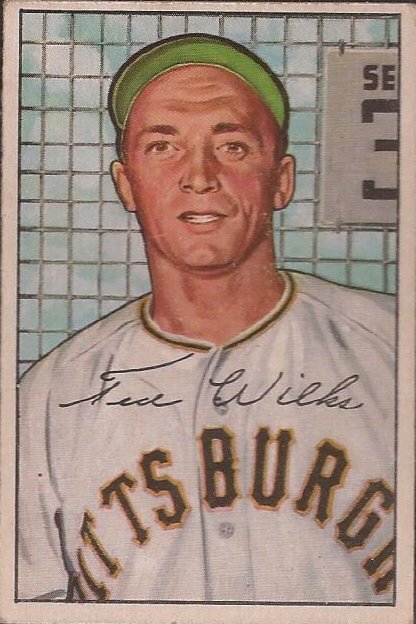 I own that Ted Wilks card too. It is a fantastic piece of cardboard. Awesome page. I love all the customs I've seen. That Bengali looks great in a modern frame.